If you need to have a translation done and haven’t done this before, it is desirable to prepare a list that will help you in geting the best offer. Through the translation checklist you can define the services you need, and define the conditions under which the translator or translation agency will make your translation. 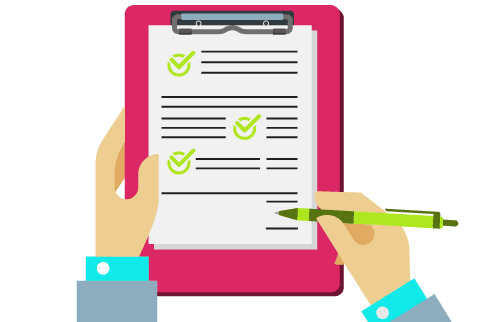 A translation checklist is useful to help you organize things for yourself but it will also help the translation agency to better understand your project and give you the best offer according to your requirements. Here are some of the important points that you need to be mention in your translation checklist along with an explanation why this information is important. How many words does the document you need translating contains? This requirement is an important element in the calculation of the cost of your project and of course, according to the amount of words, the translator or the project manager can estimate how long it will take to have your translation done. At times, the number of words is better not to serve as a basis for delivery time, because when dealing with a complicated text, even a good translator may take more time to have it done. Another thing to keep in mind is the length of the text; Your source text may be too long (that is a lot of words that bring a lot of money), but such a text would be a long and boring text which may not bring you the desired output. If that’s the case you may want to revise it and make it shorter and more appealing to your target audience. For texts written in Microsoft Word, the menu “File”, select “Properties” tab in the “Statistics”, Word automatically displays the number of words in the text. Word unfortunately, has no option to count words that are in boxes with text or graphics, and for this purpose there is special software that analyzes and counts your text in full. But this is enough for you to know approximately how many words are contained in your document. If you need a simpler way to do that for you, check out our document word counter, simply upload your document and our free tool will send you an email with the word count. Another important point to consider adding to your translation checklist is the type of translation you need. The most important thing is to know what is the ultimate goal of your translation. Whether for internal use, personal use or for use with clients. Usually all translation companies offer various types of translation. The essence may be the same regardless of the target audience, but precisely because the target audience will be different you need a different style of addressing. A good translation company makes sure that can prepare your translation within a reasonable time frame. And it is only feasible that translations with short deadlines will affect the cost and be charged extra for the urgency. What format is your document currently in? You need to know the format in which the original document is because it provides information on whether the document is in a machine readable format. Customers often submit their original documents handwritten, typed, faxed, in PDF or Microsoft Word. How would you like your translated document to be presented back to you? Already standardized output formats are translated documents as computer files and regular hard-copy. If you require it of course, the translator or translation agency can provide the output file in the format you prefer. Even it’s possible to provide a specific file formats as required by printing bureaus to create a business cards. Which language (s) do you need your document translated into? Usually transfers that are requested relate to the translation from one language to another. But large projects almost always require different language pairs. This has an impact on operating expenses and the time needed for translation. No document cannot be translated. The question is whether it contains a simple plain text or complex tables, diagrams and other graphics that need to be translated. Complex original documents require more time for translation. What level of specialized knowledge is required? Special documents, especially of a technical nature, need a translator who will be experienced and qualified to work with such types of documents. For all these previous reasons, the translator usually requires that they see a sample or sometimes even the entire original document to be translated in order to make sure that they can fully respond to your request for translation. In this action point reliability is one of the important components and is therefore recommended to sign a contract for commercial non-disclosure (NDA) if you are worried about the content. The above are the main points to consider adding to your translation checklist. 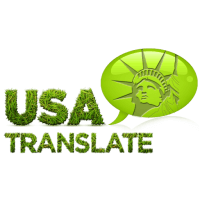 While others would ask such questions, we at USA Translate do not, as we will be able to give you a quote in under 5 minutes, and we can asses the document on our own without the need for a translation checklist. Feel free to get in touch with us at any time you want, we are available 24/7. Even more, quotes and questions are free!